Ford Motor Co. is recalling nearly 1.9 million vehicles in North America to replace faulty passenger-side front air bags made by Japanese supplier Takata Corp. The recall is part of a nationwide expansion of an ongoing Takata air bag recall, which was already the largest U.S. recall in history. 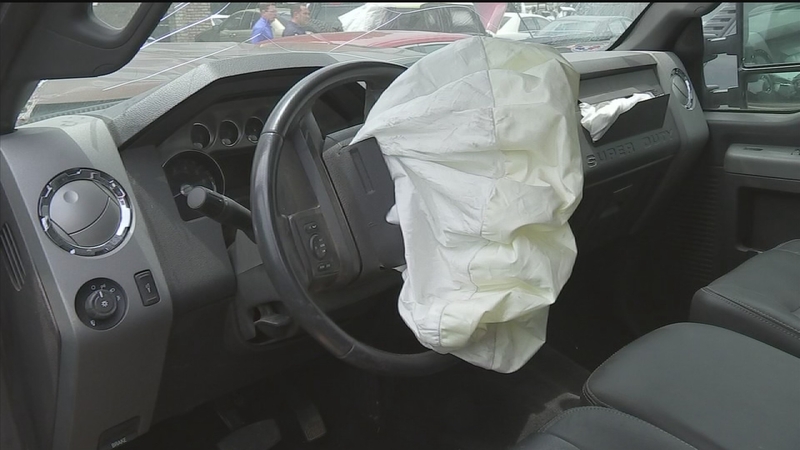 Certain Takata air bags can inflate with too much force and spew shrapnel into the vehicles. At least 11 deaths worldwide are related to the defect. The vehicles affected in the expanded Ford recall are the 2007-2010 Ford Edge, 2006-2011 Ford Fusion, 2005-2011 Ford Mustang, 2007-2011 Ford Ranger, 2007-2010 Lincoln MKX and 2006-2011 Lincoln MKZ, Zephyr and Mercury Milan. Ford says it's not aware of any injuries in these vehicles. It will notify customers and replace the air bags for free.